Today, I am going to tell you some different thing. This is not related to Technology but it is related to your Social Life. As a known fact, most of Nepalese People are working in India in various industries including from home workers to Higher Level Management of private companies. Some of us are here to earn some money, some are studying and some people are used to India and started their own business. We need to send money to Nepal for our relatives (home) or for friends, This is a normal procedure and task. 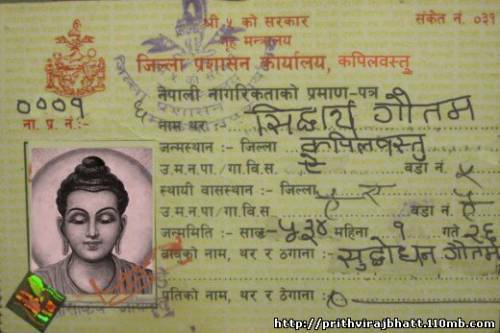 Passport or VISA Issued by Nepal Government. 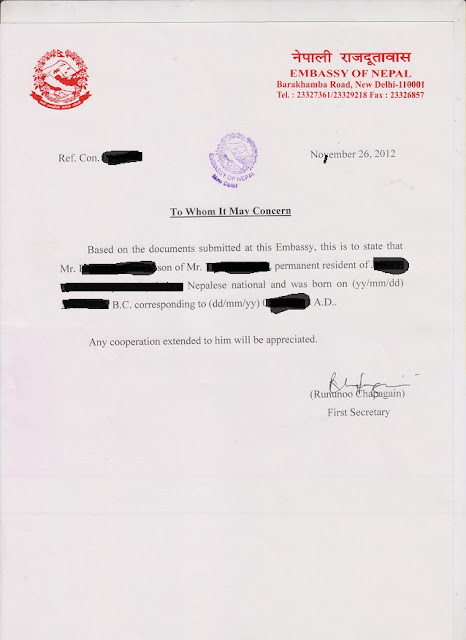 Proof of Address (In India). Citizenship Card: Below is attached a sample Citizen ship card. 2. Proof of Address: You need to submit a valid address proof while asked by Bank. Such, Address proof includes, Rent Aggrement between your House Owner and you. Telephone or Electricity Bill in your name, Employment Letter issued by a Valid Company, and other documents as per Satisfaction to Officer who is responsible for opening an Account. Photographs: 3-4 Passport size Photographs taken in recent time. VISA or Passport: If you have VISA or PASSPORT issued by Nepal Government, you need not to have Citizenship card. Steps to open an account. If you do have Passport or VISA. Just go to Nearest Branch of Any Bank. Fill the Form and submit your documents as mentioned above. Deposit minimum amount for your account as per instruction of officer. This Amount is INR 500.00 for Rural Areas and INR 1000.00 for Semi Urban, Urban and Metro regions of Government Sector Banks like, State Bank of India, Punjab National Bank, etc. While this amount is INR 2500.00 for Rural Area, INR 5000.00 for Semi Urban and INR 10000.00for Urban and Metros of Private Sector Bank like, ICICI Bank, HDFC Bank, Axix Bank etc. If you do not have Passport or VISA. You need to attest your Citizenship card in case you do not have Any International ID Card (VISA or PASSPORT). Citizenship card is taken as National ID Proof. Steps to Attest your Citizenship Card. The one and only authority to attest your Citizenship card is the Embassy of Nepal. Embassy of Nepal is located in Central New Delhi and Map is below Embedded. If you are going through Metro,Nearest Metro is Mandi House Metro. Office is closed on Saturday and Sunday. Go and write an Application for attesting your Citizenship. I am working/studing in India and need to open an Bank Account. You are requested to kindly attest and issue an ID proof. My Original Citizenship card is attached herewith. Write application in above format and submit with your Original Citizenship card, Photocopy of Citizenship card and submit. Once you submitted the document and application, It will be attested and notified to you within 30 minutes (may take longer). You need to pay INR 125.00 and they will give you a Letter on Letter Head of Embassy of Nepal with their stamp. A Sample is attached below. Now, you just need to go to bank, Submit your Letter from Embassy, photocopy of Citizenship, Address Proof and photographs. Congratulations, if you followed these steps, you will surely get an Account opened with your ID Proofs from your own Nation. Don't support fake agents that promise to make you Voter ID Card, Rasan Card or any other Indian Identity Proof. This is illegal. You can add me to your Circle +John Bhatt . a big thanks from this fellow nepali...i have been trying to open bank account in India past few weeks but unable due to document proofs. This helped a lot!!! if he/she did not have a citizenship card? What I am doing on Dotnetspider?